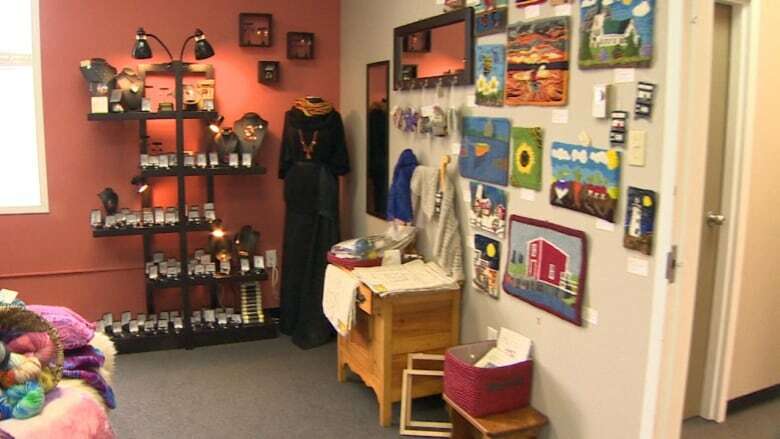 A group of artists in Carbonear has opened the doors to their new craft market, after their planned home in the Bond Theatre was destroyed by fire in April. Natalie Austin, along with six other artists, had rented out space in the historic theatre to run their craft market, but a fire last month destroyed the building before they moved in. Austin said the members of the DozenOdd Artisan Co-Op were devastated when the theatre burned down, and not just because of the loss of a rental space. Carbonear’s DozenOdd craft market offers an array of crafts that are for sale, including jewelry, hooked rugs and seal skin products. 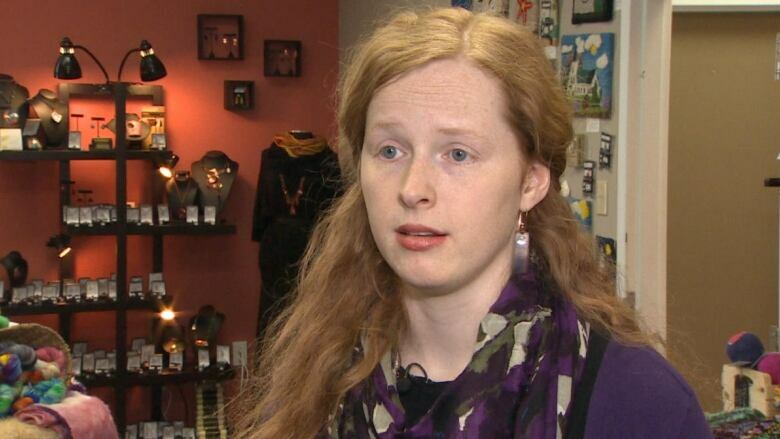 (CBC)“For me, this is my hometown and that to me was a cultural icon. It’s the Bond Theatre — people have an emotional attachment to it and whatnot, so I was losing that part as well as really, literally, watching a dream burn,” said Austin. While the group was uncertain of their future, local doctor Ingrid Peacock offered them a space in her office building to rent out. “It felt like all that work, all that emotional turmoil that we had gone through, meant something,” said Austin. The group sells a variety of original locally-made items, including seal products, copper pipe jewellery, and hand-made candles. According to Peacock, renting the space wasn’t just about helping out a local group of artists. “I’m glad of the opportunity to have helped out, but also I’m glad to be in the same building with them,” said Peacock. The community’s response to the craft market has been overwhelming, with more than 400 people walking through the doors since it opened on Monday.